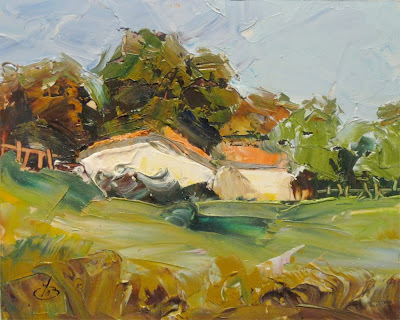 ARTISTS: Join me for another PLEIN AIR workshop this coming Saturday! In response to so many requests after last Saturday’s Plein Air session, I plan to conduct another class at a different location this Saturday, February 4. We’ll meet from 9am to noon this time. I’d love to have you join me once again. I plan to begin the class with a brief demonstration and lecture about how to approach the subject, then I’ll be available to give lots of one-on-one assistance to anyone who asks. 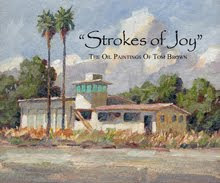 My goal when painting is to capture what the heart sees; the emotional impact of the moment. 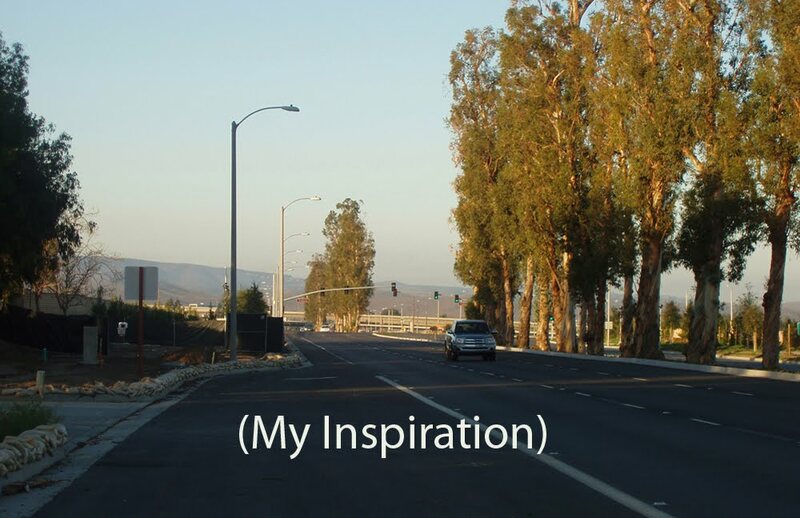 I take inspiration from Nature, and blend it with my feelings. This painting is a good example. “BEAUTY IS EVERYWHERE” is a 5x7 inch “plein air” painting on a foam board panel. I’m including a shapshot of the scene that I took while painting along the edge of the road using the small pochade paintbox you’ve seen in many of my YouTube videos. 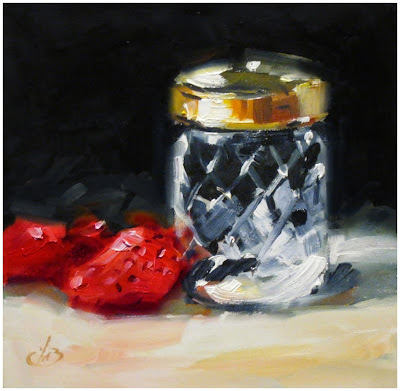 I actually painted this just for my own reference, to lock in the color and mood of the moment with the intention of creating a larger studio painting based on this study. 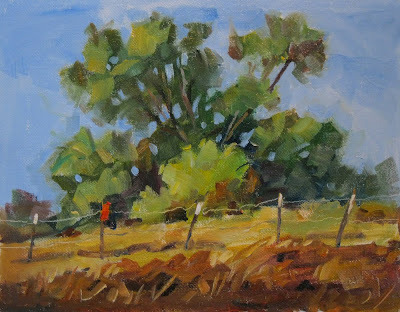 A big “THANK YOU” to everyone who joined me yesterday for the free Plein Air class I held. We had quite a crowd, and it was a beautiful day. 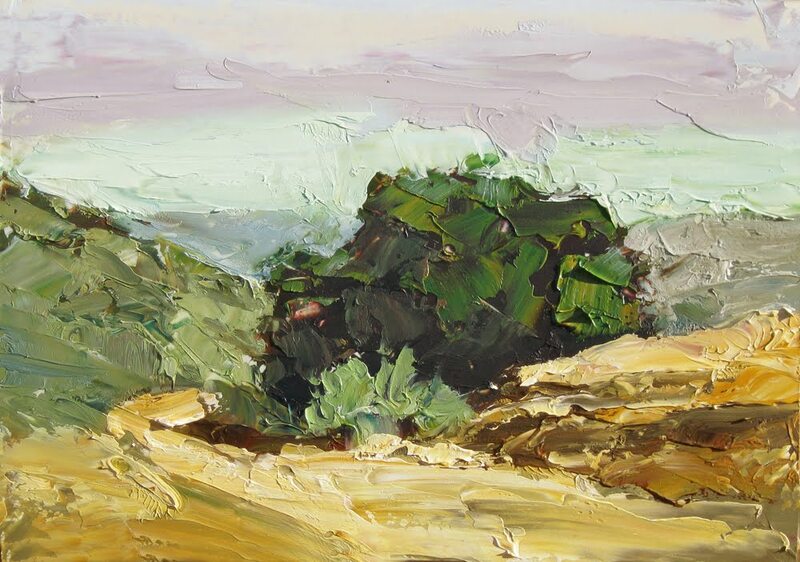 I held this class to show everyone how FUN and EASY it can be to paint out in the fresh air and sunshine, working directly from inspiring views of nature. Anyone can do it with the right guidance, as so many of you demonstrated. And your results were terrific! I was very proud of each and every one of you. Even the “first time” beginners. Well done! Now that you have experienced how exciting it is to go home with your very own painted memory of the day, I hope you’ll continue painting outdoors. The more the merrier. I would love to paint with each of you again some day. Thanks again, and HAPPY PAINTING! This quick study of a palm tree was done as a demonstration during a Plein Air Class I taught at the ocean. 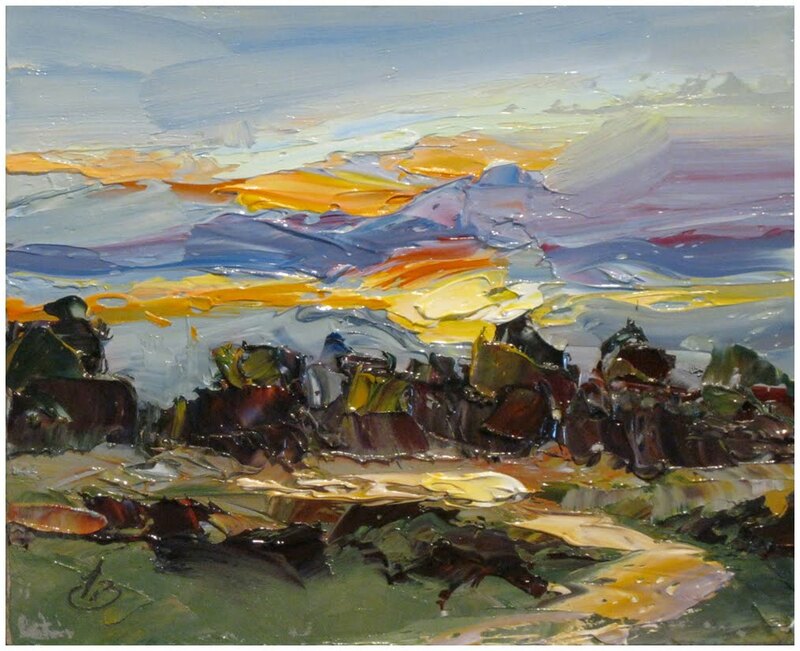 I thought it might be interesting to show this today because in a few moments I’m leaving for the same location to do a free demonstration this morning for a gathering of other artists in the area. ARTISTS: Join me for a FREE Plein Air Workshop demonstration at the ocean THIS SATURDAY from 10:00 am to noon in Orange County, California. Everything is completely free; no strings attached. I’m doing this to remind everyone how FUN and EASY it is to paint right from Mother Nature, out in the fresh air and sunshine. It’s also a great way to bring freshness back into your paintings, especially if you’ve been cooped up inside your studio for too long. I’ll also demonstrate a new approach guaranteed to loosen up even the most timid painters. 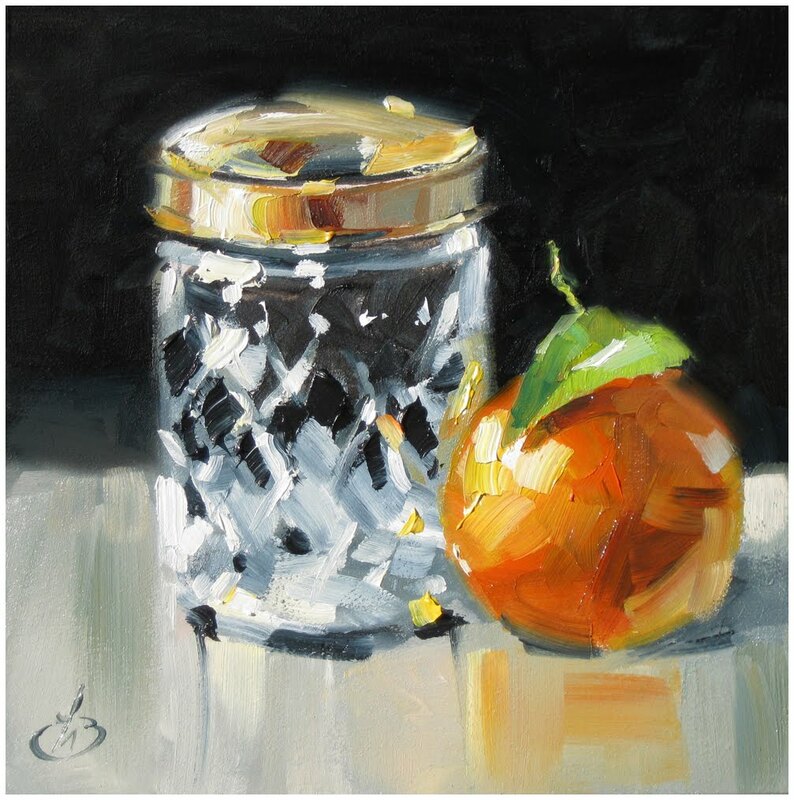 It’s loads of fun and it will build confidence and really add sparkle to your paintings. I painted this preliminary study on location before tackling a larger canvas of the same subject. 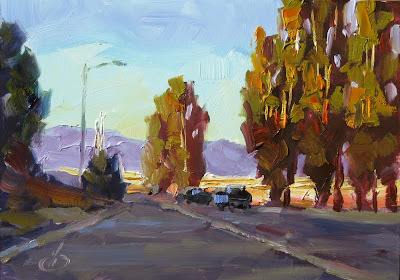 I sometimes do this when painting outdoors to “lock in” the light and colors of the scene before conditions can change. I then used this as a guide to keep me on track as I created the larger canvas. 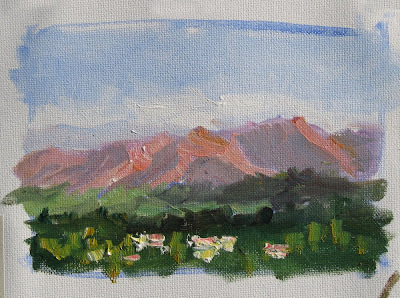 I painted this as a demonstration for other artists during a Plein Air workshop I taught at a serene wildlife sanctuary. ARTISTS: I plan to conduct a FREE PLEIN AIR WORKSHOP from 10:00 am to noon next Saturday morning, January 28. Stay tuned for more details. 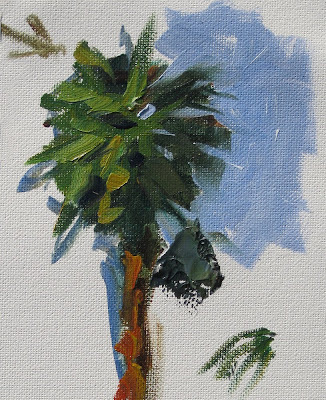 This canvas is approximately 8.25 x 5.5 inches. 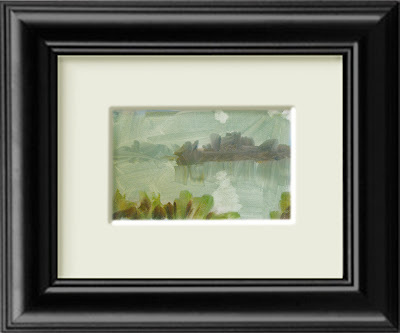 I am including a photo showing how this study might be framed for display, but it is sold unframed. Sometimes a painting is about a mystery. Like this now-derelict fence blocking a long-forgotten road that goes nowhere. It’s a homemade fence, built from random tree limbs and barb-wire. A great deal of work went into building it, using found materials that came to hand. But now it’s falling down. Why was it abandoned? Where did the road originally go? What plan or purpose inspired someone to build it? What’s the story behind this remote setting? 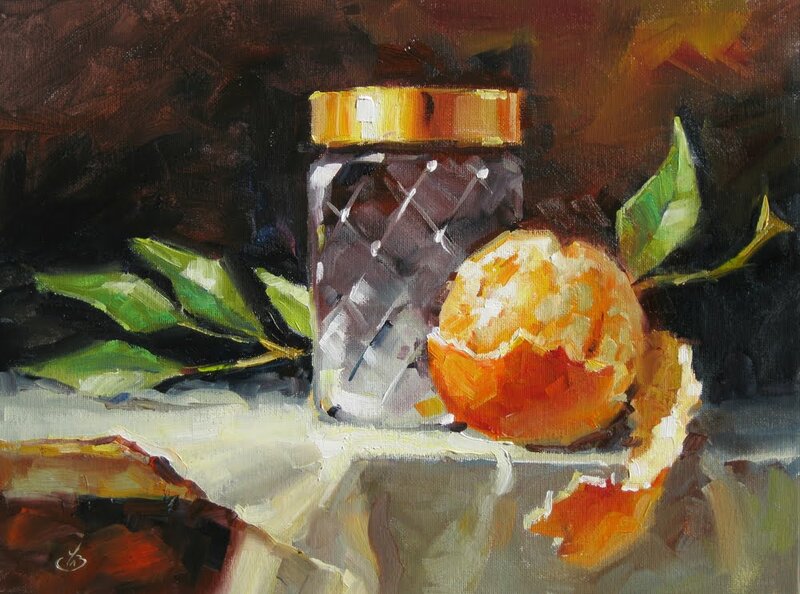 In a painting like this I like to keep the details spare, and leave a bit of mystery for the viewer to complete. I try to include enough specifics to give it the ring of truth, while leaving out unnecessary information. It keeps the painting fresh and inviting. I then used this as a guide to keep me on track as I created the larger canvas. Both paintings were done on location the same day. 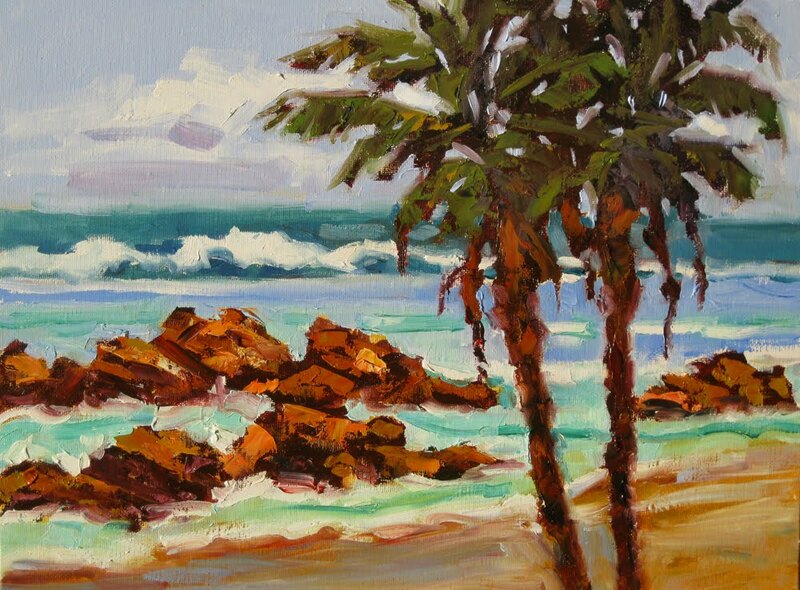 This is an original oil painting on canvas, and I have decided to put it on eBay with a starting bid of just ONE DOLLAR. This is a three-day auction ending on Friday at 1:13pm. 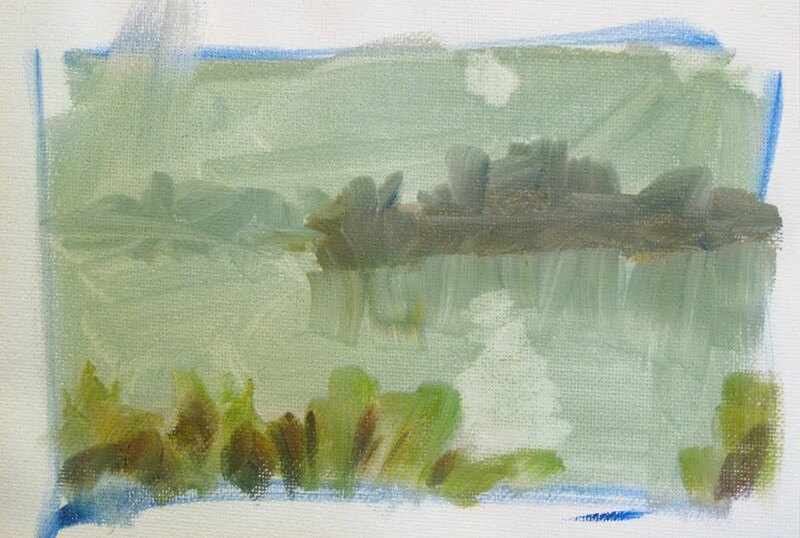 An interesting note: In the foreground of this study you can see some golden-white homes among the trees. 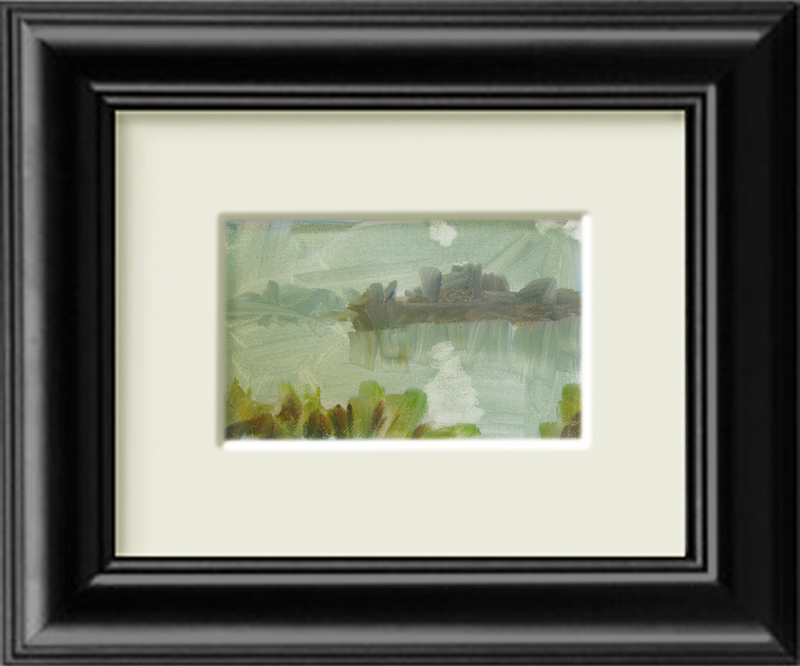 In the larger painting I decided to omit the homes. 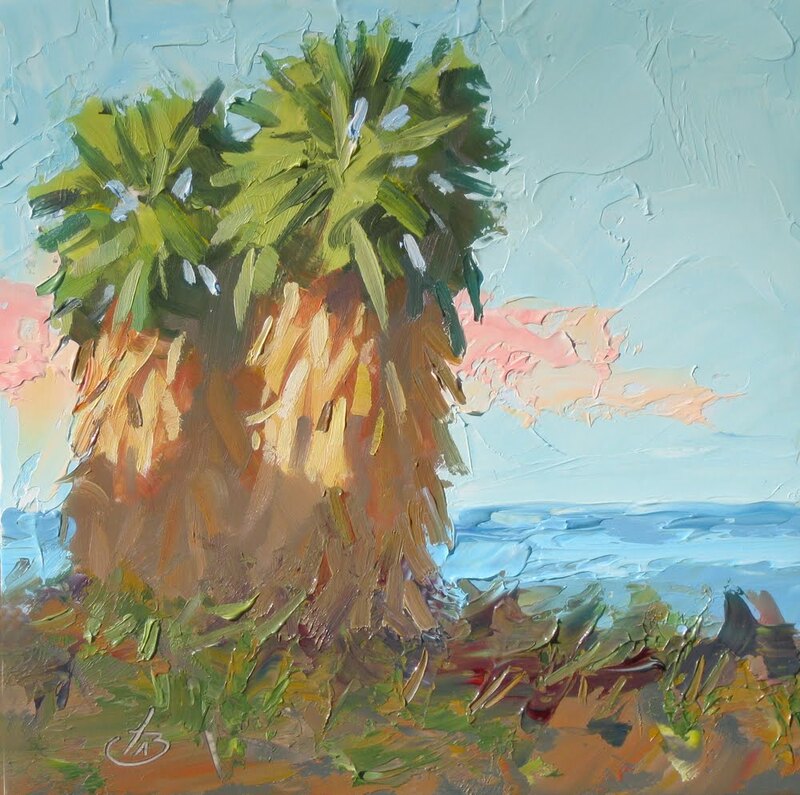 I also changed the sky of the larger painting to include enormous billowing white clouds. PS: The FREE PLEIN AIR WORKSHOP that I had planned to conduct this weekend has been moved to the following weekend on Saturday morning, January 28. Stay tuned for more details. 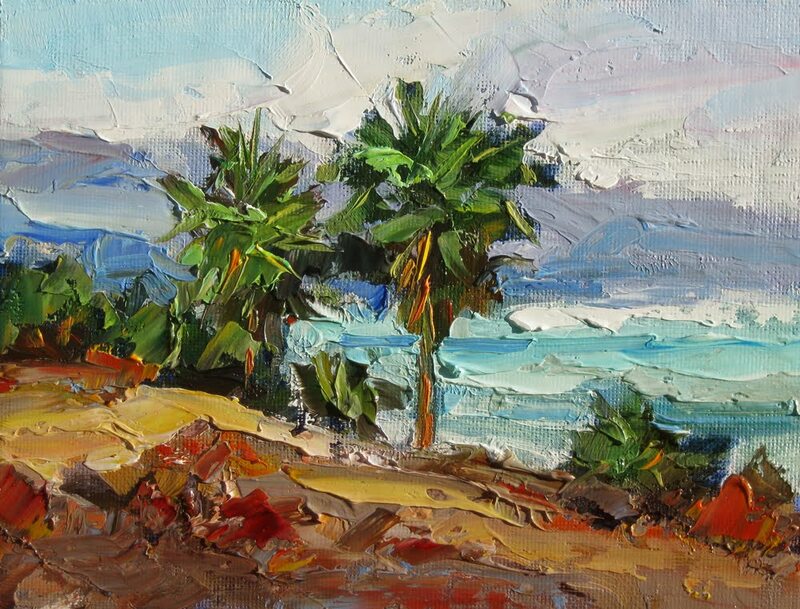 I enjoy painting with both the palette knife as well as with brushes. Each method creates a different look. 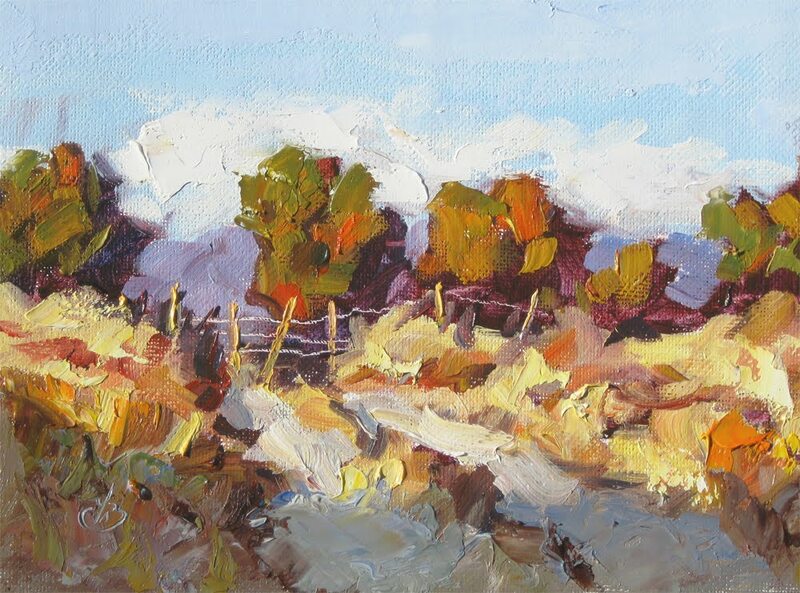 This plein air painting was done almost exclusively with the knife to create the bold, painterly feeling I wanted to capture. I did use a small brush to add tree limbs, and a bit of blending in the sky was done with my fingers. This painting sparkles like a little jewel. 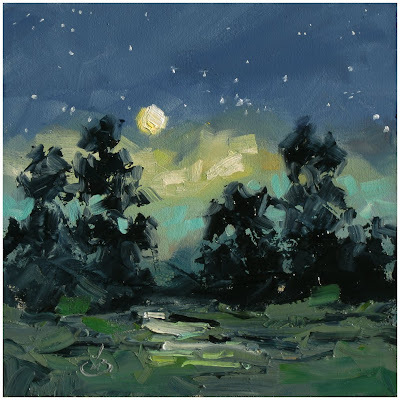 This is a 4X5 inch oil painting on a masonite panel, currently on eBay with a starting bid of just $35 and the option to “buy it now” for $50 if no bids have been placed yet. The link below will take you directly to the auction. 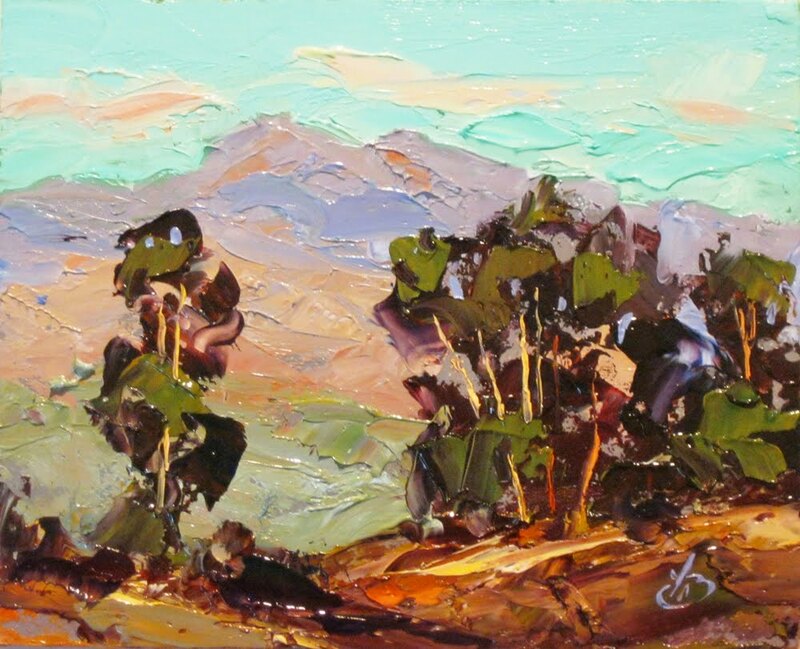 This auction is three days only, ending on Tuesday, January 17 at 1:18 pm. This painting is all about color, light and brush strokes with flair. 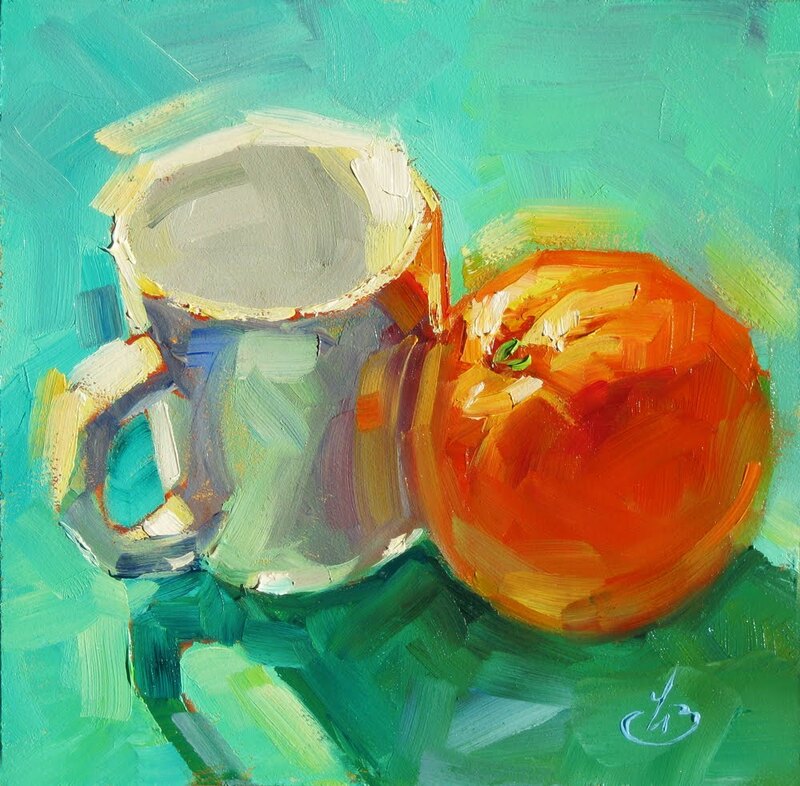 It was the color and light that attracted me and made me want to paint it. And I felt the bold painterly brush work adds to the charm of the finished piece. I thought it would be interesting to show photos of the painting as it developed, along with a photo of the actual objects that I painted from. Enjoy. This is a 6x6 inch oil on a masonite panel, currently on eBay with a starting bid of just $50 and the option to “buy it now” for $65 if no bids have been placed yet. The link below will take you directly to the auction. This auction is three days only, ending on Monday, January 16 at 5:27 pm. Recently I painted a smaller version of this on site at the ocean in Laguna Beach, California. I did this larger painting as a demo for my Oil Painting class, using the smaller study as reference. 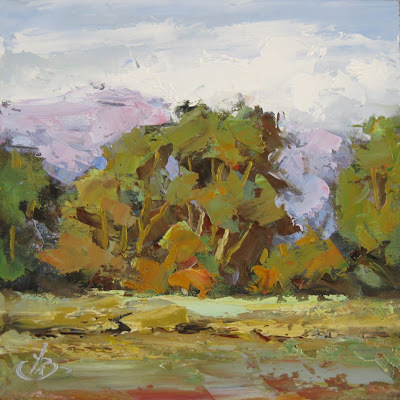 This is a 12x16 inch oil on canvas, currently on eBay with a starting bid of just $99 and the option to “buy it now” for $135 if no bids have been placed yet. The link below will take you directly to the auction. This auction is three days only, ending on Monday, January 16 at 10:38 am. I have decided to kick off my teaching schedule this year with a FREE PLEIN AIR workshop. Stay tuned for details on this blog soon. FREE PLEIN AIR WORKSHOP : I have decided to kick off my teaching schedule this year with a FREE workshop on the fun of painting outdoors, directly from nature. Stay tuned for details soon. 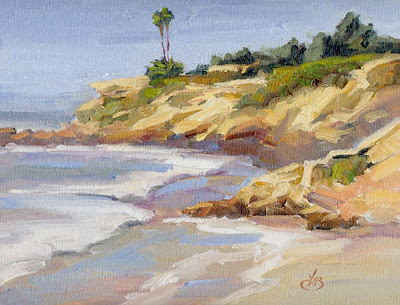 The 8x10-inch painting shown above was painted on location during one of my workshops for other artists. Southern California ARTISTS: Watch my daily blog for details about a FREE plein air workshop I will conduct soon in Orange County, California. Everything is completely free; no strings attached. No catches. 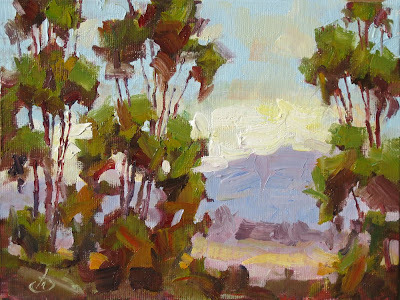 I’ll share everything I know to help other artists enjoy the same fun and excitement I do when painting in the great outdoors directly from nature. I’ll show you the equipment I use, and exactly how and why I work. I’ll demonstrate my techniques and tips, and answer all your questions. You are also welcome to shoot videos or photos during the workshop if you wish. Watch for details here. 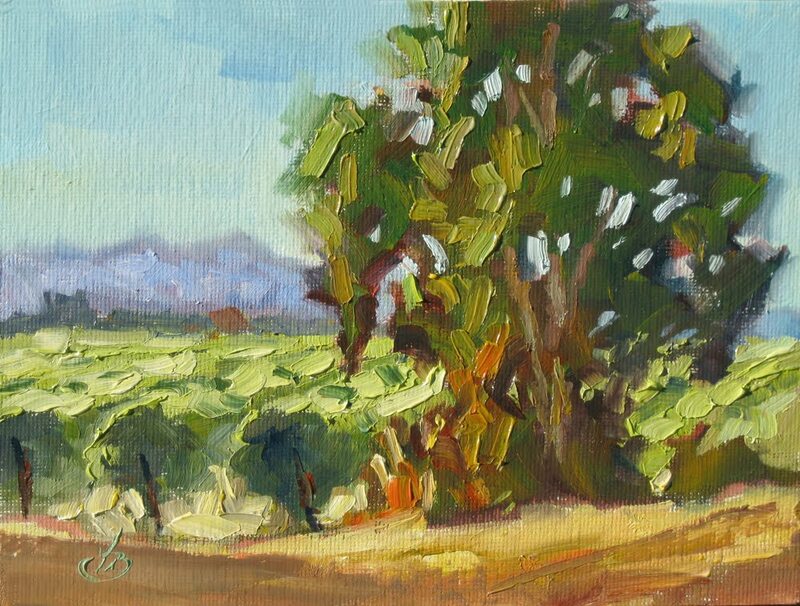 6x8 inch plein air original oil painting. 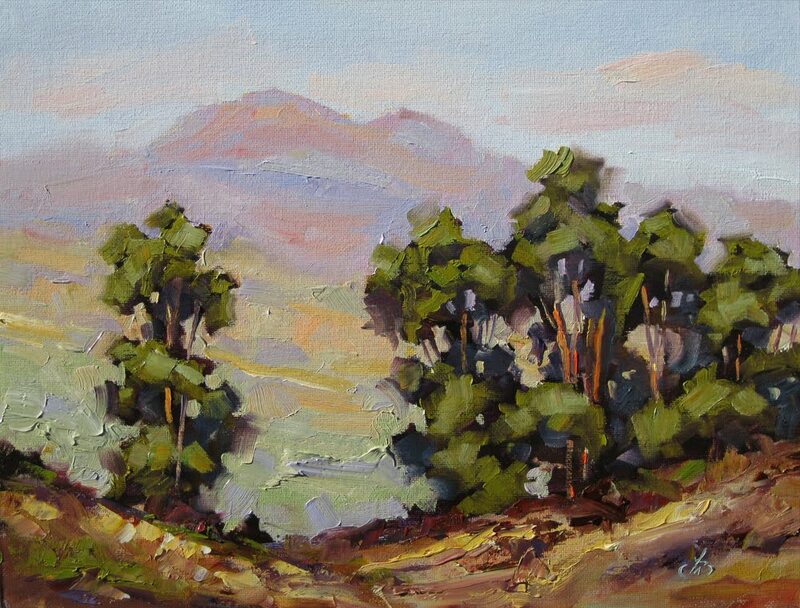 5x5 inch original oil, ready to frame.